PEMF Science can help us tap into Nature!! 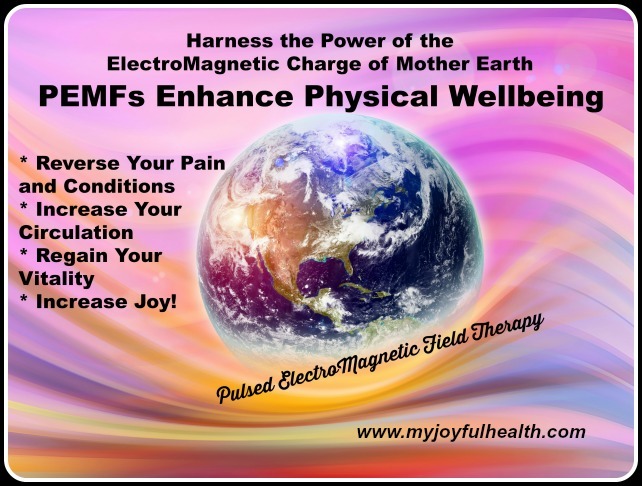 PEMF Science – Would you like to experience Joy, Peace, Balance, in just 8 minutes? Do you belong to the 80% of North Americans who suffer from chronic pain, chronic conditions, low energy, poor sleep, brain fog, imbalances, anxieties and depression and unknowingly suffer from harmful effects of wireless and other forms of radiation in our environment? The solution is here: Experience low-frequency Pulsed ElectroMagnetic Fields (PEMF) for just 8 minutes and watch your body THRIVE again! Watch this fascinating video where Wolfgang Jaksch, Founder and CEO of Swiss Bionic Solutions, during a Workshop in Vancouver, BC, Canada, describes how PEMF can help every cell in our body. Very cool video – regarding Resonance and 32 Metronomes, Japanese Laboratory. Demonstrates how using PEMF helps the 75 Trillion Cells in our body start resonating and being in tune with each other. Using the earth-based frequencies. Spark each cell in your body back to life with true resonance frequencies! PEMF counteracts dangerous radiation and restores our vital electromagnetic fields allowing the body to heal and repair no matter what you suffer from. We can drastically improve our health on the cell level with proven technology. Developed, engineered and designed in Switzerland the Omnium1 PEMF Whole Body Mat is based on the worldwide known and established Android platform. It can be used as a regular tablet without any restrictions: Surfing the web via WIFI, sending, receiving emails and complete access to the android app structure. I've had 5 or 6 treatments on the Mat. I was in a serious truck accident in 2000. The day of my birthday. I was hit by a drunk driver. Today I felt excruciating low back pain. I used the Omnium1 Pad on that particular spot. It really smoothed and eased the pain right now. That 16 year old injury came forward today. Now my cells have Smiley Faces on them! Join our PEMF Joyful Health newsletter and you'll get instant access to a lot more valuable information created exclusively for you!